Fedora 13 Goddard is finally here and it looks better than ever. Keeping it's promise of incorporating cutting edge technology, Fedora 13 to has some amazing features. 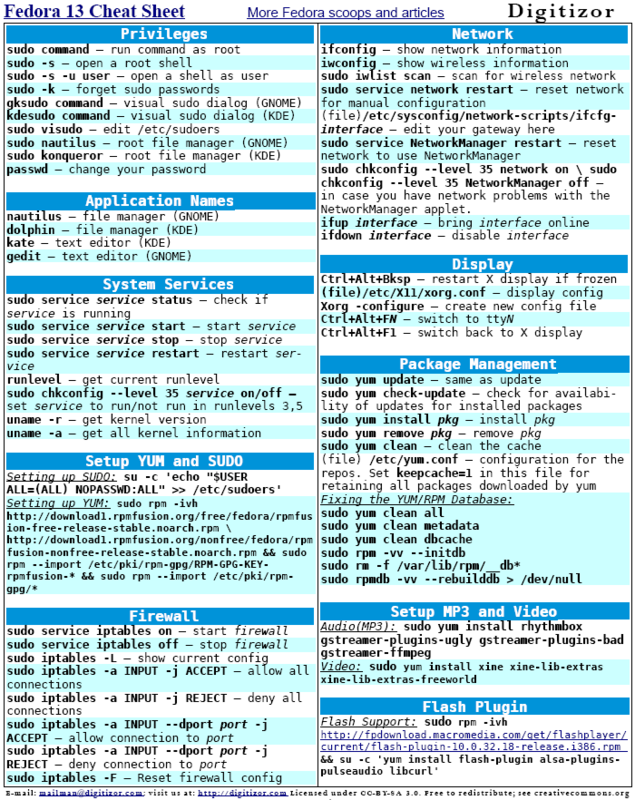 We bring you this cheat sheet so that you can get started with Fedora 13 linux in no time. We have included many tips and tricks and scoops that will help you to set up your new Fedora 13 installation into a full blown Linux box. And one more thing, Do spread the word!